Milo is a 4yo bachelor living the life. He loves his space but hasn’t found the right girl or guy to settle down with. 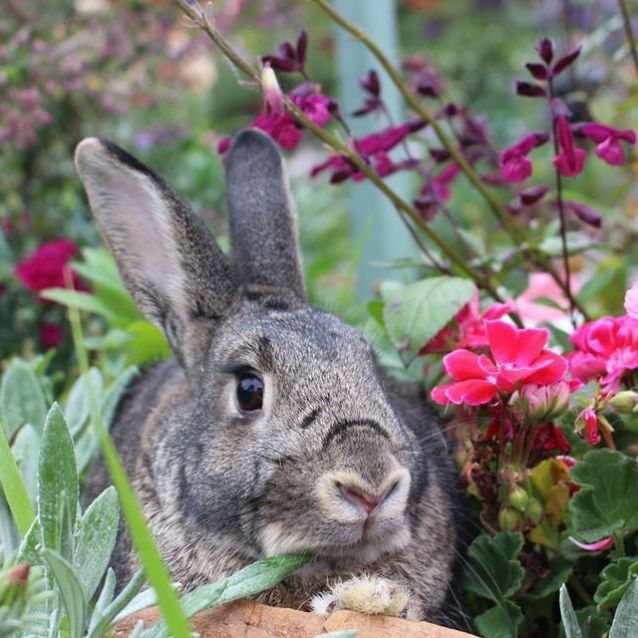 He is a free range inside bunny with his foster carer and loves digging around his blankets and hay and chewing on his bunny-burrow to give everything he owns his own personal touch. Despite his messy boys room (aka bedding and litter box corner) he is very clean and hasn’t peed or pooped anywhere outside his box. Milo will however arrange the couch cushions to his liking. His foster mum hasn’t had any issues with him chewing carpet, cords or furnishing but does keep a watchful eye out as he does like to explore. Milo is a (half) wild child and would prefer a mature quiet household as he doesn’t approve of strange loud noises. He doesn’t mind a pat but can be unsettled when he’s picked up. Milo would love to have a big space of his own as he has plenty of energy that needs to be run, jumped and binky-ed off during the day. If you are interested in giving Milo his perfect forever home, please message Furry Friends Forever Rescue to complete our online expression of interest form.